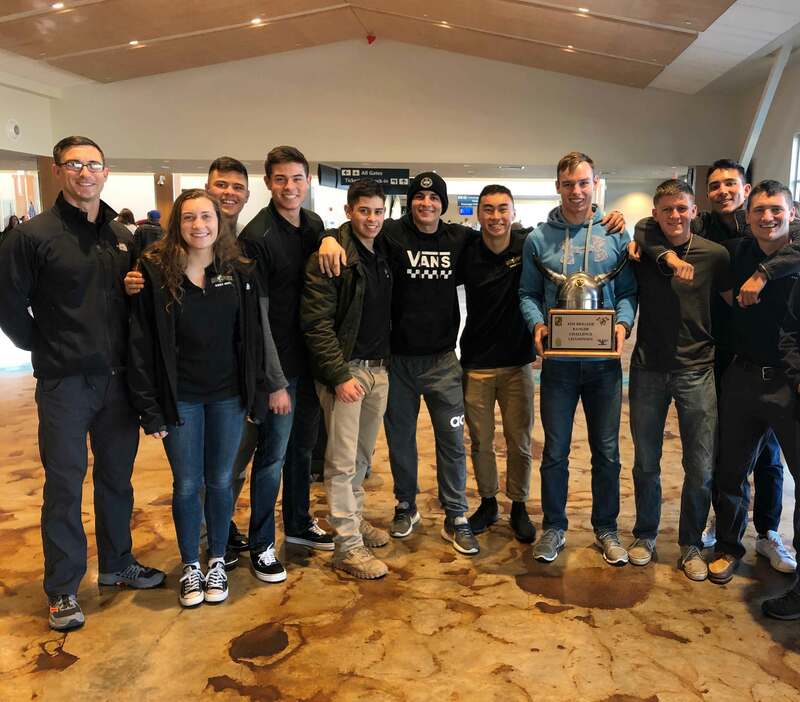 SAN LUIS OBISPO — The Cal Poly ROTC Ranger Team again took first place in a competitive skills event that challenges cadets’ mental and physical toughness, advancing the team to the national Sandhurst Military Skills Competition at West Point Military Academy on April 12-13. The team won the 8th Brigade’s Best Ranger Challenge at Joint Base Lewis-McChord, near Seattle, against three of the best teams representing 31 university and college programs in the Pacific and Western U.S. The win secured the Cal Poly team’s spot at the Sandhurst Competition, which hosts more than 15 other U.S. ROTC programs plus six to eight international teams. Competitors face a number of challenges that measure skills in which cadets must be proficient, with each task including many individual performance measures that are graded and evaluated. Events included an obstacle course, weapon qualification using the M-16 rifle, crossing the Chorro Reservoir in Zodiac boats, a leader reaction course, day-and-night land navigation, calling for and directing artillery, and moving/treating a casualty during a chemical attack — all while carrying 35-pound ruck sacks. The Cal Poly ROTC began its winning streak in October when the team took first place at the regional 2018 Ranger Challenge at Camp San Luis Obispo, marking the first time in six years that the team had advanced to the next stage of competition. Participation in Ranger Challenge offers cadets an opportunity to learn and practice skills beyond those instructed in class and labs. Photo information: ROTC.jpg — (From left to right) Coach Dominic Senteno, Robyn Ribet, David Broyles III, Austin Beck, Marcial Nunez, Alexander Kokonis, Grant Lemen, Taylor Palmaffy, captain, Logan Murray, Christian Diebenow, and Maxwell Batanian.